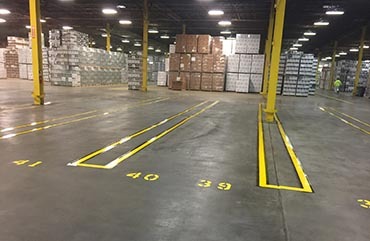 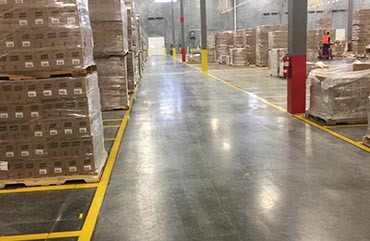 Ensure your warehouse floor is both functional and safe, meeting OSHA requirements. 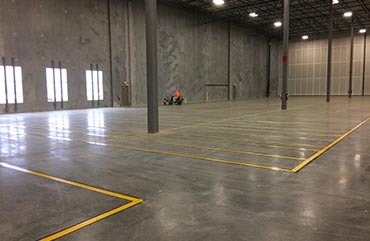 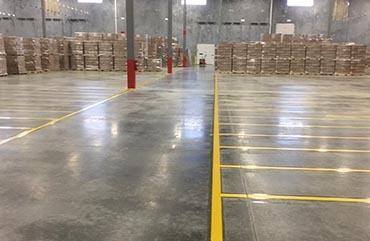 We can work with you to lay out an efficient and safe design then paint your warehouse floor. 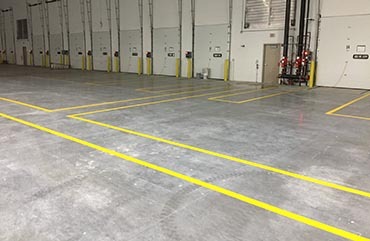 Alternatively, for the longest lasting durability, we can layout the design, scarify the lines, paint the lines, and then apply a top polyurethane coating to protect the paint.